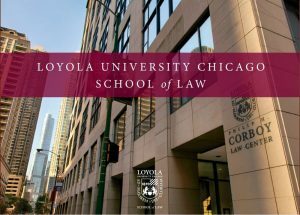 CREATe member and School of Law colleague Kristofer Erickson will present research at Loyola University Chicago School of Law on Friday 15th September. The title of Dr Erickson’s presentation, which emerges from research with colleagues Martin Kretschmer and Dinusha Mendis, funded by the UK Intellectual Property Office, is ‘Assessing the impact of derivative works: Evidence from the removal of music video parodies on YouTube’. The project examines rightsholder behavior by analysing the factors that contribute to a request to remove user-generated parody videos from YouTube. The new paper includes data about the takedown rate from our original sample, added in 2016 by CREATe collaborators Sabine Jacques and Morten Hviid at the University of East Anglia. The public lecture will take place at Loyola Law School, Room 1403 at 12pm on Friday 15th September. The ability for rightsholders to request removal of allegedly infringing content from online platforms – commonly referred to as ‘notice and takedown’ – is provided in the United States under Section 512 of the Digital Millennium Copyright Act (DMCA) and in Europe under EC Directive 2000/31 (Electronic Commerce Directive). Broadly, notice and takedown procedures place a burden on rightsholders to detect and take action to request removal of potentially infringing material, with associated costs. Rightsholders must make an economic calculation about which works from their catalogue to monitor and which potentially infringing uses to pursue with a takedown request. In this paper, we investigate the actions taken by copyright owners to seek the removal of potentially infringing derivative works, using an original dataset of 1,839 music video parodies on YouTube collected in 2012. At the intervals of January 2013 and December 2016, we re-examine the dataset to determine which videos have been taken down during the intervening period. We identify the overall rate of YouTube takedowns in the initial wave (15.5%) and subsequent wave (23.2%). Based on human-assisted content analysis of the commercial and user-generated videos, we analyse a range of factors that may predict the likelihood of a takedown notice in our sample. Overall we find that content based on rights held in the EU was subject to a slightly higher rate of takedown than those originating in the USA, suggesting that the “fair use” concept does have an impact on takedown frequency. Apart from (1) territory, we find that significant predictors of takedowns are (2) the presence of a copied sound or video recording in the parody video (detectable by an automated identification process), and (3) the level of skill apparent in the production of the parody, with low-skill parodies taken down more frequently. Public concerns raised by rightsholders, such as negative reputational effects caused by inappropriate use, including potential moral rights infringements, do not appear to predict a takedown. Neither do commercial popularity (substitution) nor tone of content (the critical stance of the parodist toward the original work) trigger a significant response from rights holders. The counter-intuitive findings from this investigation prompt reconsideration of the factors that actually concern rightsholders: is there more than copyright to the pattern of music industry takedown requests?